Guidance is much needed on the design of high strength steel reinforced concrete (SRC) columns beyond the remit of Eurocode 4. Given the much narrower range of permitted concrete and steel material strengths in comparison to EC2 and EC3, and the better ductility and buckling resistance of SRC columns compared to steel or reinforced concrete, there is a clear need for design beyond the guidelines. This book is the companion volume to Design Examples for High Strength Steel Reinforced Concrete Columns – A Eurocode 4 Approach. Guidance is much needed on the design of high strength steel reinforced concrete (SRC) columns beyond the remit of Eurocode 4. Given the much narrower range of permitted concrete and steel material strengths in comparison to EC2 and EC3, and the better ductility and buckling resistance of SRC columns compared to steel or reinforced concrete, there is a clear need for design beyond the guidelines. 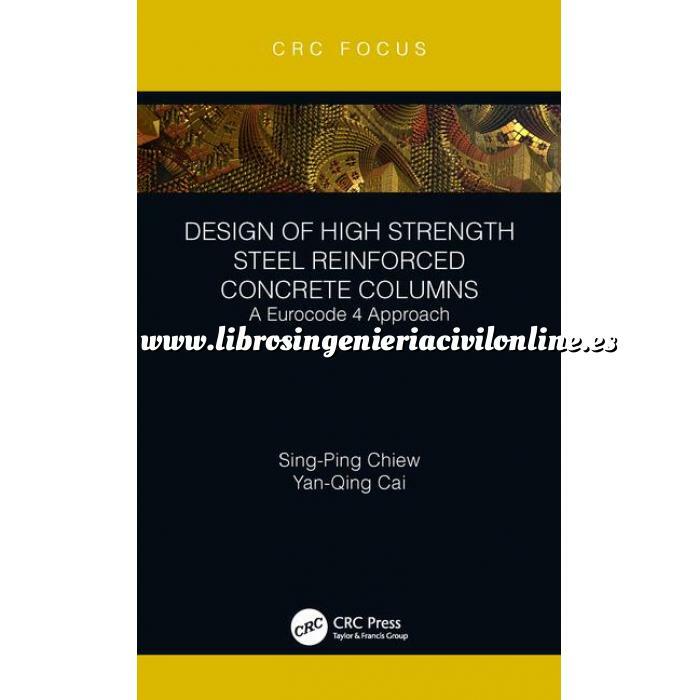 This book looks at the design of SRC columns using high strength concrete, high strength structural steel and high strength reinforcing steel materials – columns with concrete cylinder strength up to 90 N/mm2, yield strength of structural steel up to 690 N/mm2 and yield strength of reinforcing steel up to 600 N/mm2 respectively. The companion volume provides detailed worked examples on use of these high strength materials. This book is written primarily for structural engineers and designers who are familiar with basic EC4 design, and should also be useful to civil engineering undergraduate and graduate students who are studying composite steel concrete design and construction. Equations for design resistances are presented clearly so that they can be easily programmed into design spreadsheets for ease of use. Concrete Creep and Shrinkage Model. Fire Resistance Design of SRC Columns.